How are documents added to D-Scholarship@Pitt? D-Scholarship@Pitt is an author self-archiving repository. Authors submit their work directly to the repository by uploading documents and providing basic descriptive information (metadata) about the documents using a simple Web-based form or via the Deposit feature from facultyinfo.pitt.edu. Who is eligible to submit documents to D-Scholarship@Pitt? University of Pittsburgh faculty, students, staff, and any other affiliates with a current University Computer Account may submit materials to D-Scholarship@Pitt. Can I ask someone else to submit documents to D-Scholarship@Pitt for me? Yes, you may designate a proxy to submit documents to the repository on your behalf. To have your work deposited by proxy, please use this form D-Scholarship@Pitt Proxy Agreement, to specify your proxy designee. When the repository administrator receives the final notification, your proxy will be contacted and can submit records for you. To request that a proxy be revoked, please contact the University Library System (ULS) Office of Scholarly Communication and Publishing (OSCP) at oscp@mail.pitt.edu. How long will the University retain materials in D-Scholarship@Pitt? Materials deposited in D-Scholarship@Pitt will be retained indefinitely. What happens when I leave the University of Pittsburgh? Documents that you contributed to D-Scholarship@Pitt will remain in the repository after you leave the University and will be retained indefinitely. Can I submit my electronic thesis or dissertation to D-Scholarship@Pitt? Yes. All current Pitt students who are required to submit an Electronic Thesis or Dissertation (ETD) to fulfill the requirements of their degree programs must submit their ETDs to D-Scholarship@Pitt. See the main ETD Web site for more information. All University of Pittsburgh ETDs will be automatically deposited into D-Scholarship@Pitt immediately upon approval by your school. May I submit other types of theses, dissertations, manuscripts, or long papers? Yes. You are welcome to submit a past thesis, dissertation, MFA manuscript or long paper that is not part of Pitt's current ETD program. Such items may include theses and dissertations from institutions other than Pitt; Pitt theses and dissertations predating the 2004 ETD submission mandate; and other types of papers, projects, documents, performances, etc., that were completed as part of degree requirements at Pitt but are not part of Pitt's current ETD program. Am I required to submit my work to D-Scholarship@Pitt? No. Only Pitt students required to submit an ETD as part of degree requirements must submit their work to D-Scholarship@Pitt. For all other members of the Pitt community, participation in D-Scholarship@Pitt is 100% voluntary. What are the benefits of submitting my work to D-Scholarship@Pitt? 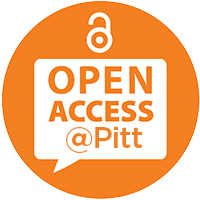 Authors may choose to submit their materials to D-Scholarship@Pitt in order to increase discoverability and impact of their research and to provide long-term storage and preservation of their work in a stable archive. Are works in D-Scholarship@Pitt refereed? Although many of the works in D-Scholarship@Pitt have undergone peer review, this is not a requirement for submission. You may submit non-refereed works. The D-Scholarship@Pitt administrators do not review deposits for content. Electronic theses and dissertations(ETDs) are approved by the student's ETD committee before being made available in D-Scholarship@Pitt. What is the extent of the review and acceptance process? D-Scholarship@Pitt does not referee postings and does not edit them. D-Scholarship@Pitt merely reviews minimally to assure relevance to scholarly research, to ensure completeness and accuracy of descriptive metadata, and to filter spam. May I submit material to the archive that has appeared elsewhere? Yes. D-Scholarship@Pitt does not require or expect that material has not appeared elsewhere. However, if material has appeared elsewhere, the author must determine whether the author retains copyright, whether copyright was transferred to the publisher, and whether the publisher's copyright agreement allows posting in a public Open Access repository such as D-Scholarship@Pitt. While we do not object to duplication, the publisher or other venue may. How can I determine a publisher's copyright policy? For journal articles, authors are encouraged to check a journal's copyright policy by visiting Sherpa/Romeo, an international resource that lists the copyright and archiving policies of scholarly journals. When in doubt, authors should contact their publishers and review the author's agreement with the publisher to determine whether it allows depositing the materials into a public Open Access repository. Do I lose copyright privileges when I submit a document to D-Scholarship@Pitt? What is Creative Commons licensing? May I use it for items I deposit into D-Scholarship@Pitt? Creative Commons licenses offer an Open Access alternative to "all rights reserved," allowing authors to determine how they want to share their work, how they want their work acknowledged, and how others may use their work. Authors may designate Creative Commons licensing only for deposited material for which they own copyright. Authors may designate a Creative Commons license for files during the "upload" step in the deposit process. Will posting a manuscript on D-Scholarship@Pitt affect subsequent attempts to publish it in a journal? This is a matter for the individual journals to decide. These policies are in flux with the trend towards greater tolerance. Authors are encouraged to check a journal's copyright policy by visiting Sherpa/Romeo. If I post a document on the archive and then publish it in print or electronic form elsewhere, can I leave the document in D-Scholarship@Pitt? Individual journal policies vary on this question. Whatever the policy, the authoritative document is the copyright agreement you sign with the publisher. If that agreement requires you to remove the posted preprint, you should. But not all agreements require this. Many publishers today have adopted policies that explicitly encourage authors to post their pre-press articles to publicly accessible servers. May I limit access to an item deposited in D-Scholarship@Pitt? Yes. Authors have the option to make their work available worldwide or limit it solely to University of Pittsburgh users. This can be set in the metadata for the file during the "upload" step of the deposit process. May I embargo an item? Yes. Authors may also choose to embargo their work for a period of time, setting a date when the file will be available for worldwide access. This option may be set in the metadata for the file during the "upload" step of the deposit process. May I extend an embargo on an item after it has expired? Perhaps. For University of Pittsburgh ETDs, including both theses and dissertations, an embargo may be extended only for extraordinary circumstances. The student must present justification, and the request requires the approval of the author's school as well as the Provost's Office. Some requests that are frequently denied include having published articles based on the ETD, impending publication without a requirement from the publisher to embargo the ETD, or fears that one's work may be plagiarized. Research has shown that publicly available ETDs do not discourage publishing, though this myth persists in many fields. For other items, such as pre-prints and articles, an embargo may be extended by contacting us. May I remove an item once it is posted? Yes, requests for removal will be honored, although we encourage you to leave items posted for stability of the archive's contents. Reasons for removal of documents from the repository might include publishers' requirements, proven copyright violation or plagiarism, or other legal requirements. Please note that this does not apply to University of Pittsburgh ETDs. Since D-Scholarship@Pitt is the official location for the theses and dissertations of the University of Pittsburgh, ETDs cannot be removed after deposit. How long does it take after an item is deposited in the archive for the preprint to become available to the public? Allow two business days after submission for documents to appear in D-Scholarship@Pitt. After a document is submitted, it appears in a "submission buffer" where a D-Scholarship@Pitt administrator periodically performs a routine check of scope and completeness of descriptive data for newly submitted documents before accepting them into the archive. My department or research group is not listed in D-Scholarship@Pitt. Can it be added? If your department, program, research group, center, or institute is not listed, please use our contact form to let us know. We will review the request and act upon it as soon as possible. D-Scholarship@Pitt is hosted and administered by the University library System (ULS) Office of Scholarly Communication and Publishing (OSCP). 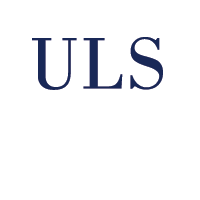 A repository administrator in the ULS reviews and accepts new submissions several times a week. My question isn't answered here! Where can I get further help? Please email us at d-scholarship@mail.pitt.edu. We will address your question promptly.